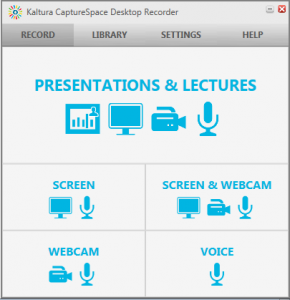 To record a voice recording please click on ‘Voice’ in the CaptureSpace window. After the countdown finishes your recording will begin. If for whatever reason you wish to pause or cancel, press the appropriate button. When you are finished recording, press done. 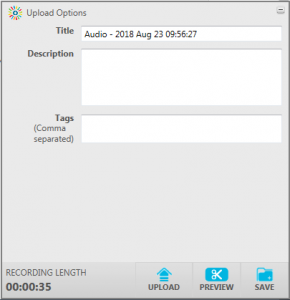 The recording will start to save. Below the timeline are the two edit options with to the right a preview window (in this case showing a black screen because there is no video to view).